IT has changed the way radiologists work and is beginning to change how residents learn to become radiologists. In March, at the Society for Imaging Informatics in Medicine regional meeting in Philadelphia, a couple sessions addressed what IT means for the future of radiology training. Tessa S. Cook, MD, PhD, a cardiovascular imaging fellow in the department of radiology at the Hospital of the University of Pennsylvania, says the opportunities for using IT tools are growing. 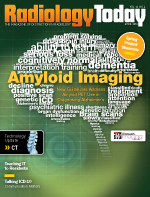 “Residents are seeking out a variety of tools that they can use for radiology education. There are quite a few apps available in the app store, websites that are geared towards radiology, and many commercial options that are starting to support mobile formats. I think that’s a huge push that we’re going to see as years go by,” Cook says. In addition to easy access to libraries’ worth of journal articles, Cook says tablet-based educational tools allow residents to simulate certain aspects of the reading room experience, wherever they happen to be studying. Scrollable images and entire data sets can be available at the touch of a screen. While this may seem like bells and whistles to those who were trained in the paper era, it better reflects the way that the digitally native generation uses technology, which can make teaching and learning more efficient. New tools help professors monitor residents’ performance in preparing the next generation of radiologists. For example, a faculty member can review a study interpreted by a resident and if changes are necessary, they can be easily tracked and the effect on patient care can be noted. That provides valuable feedback for the trainee. Once collected, Cook says data can be mined in a variety of ways to help residents identify areas for improvement. Simulation tools also are becoming increasingly important. Demands on radiologists have increased and resident work hours have decreased, creating fewer opportunities to provide the one-on-one training that traditionally has been necessary to develop residents’ knowledge base. Some facilities are beginning to use call simulators to combat the lack of training hours while preparing residents for independent call. This allows supervising radiologists and trainees to identify areas for improvement before the resident begins taking call. These simulation uses differ from the more typically used applications in dealing with adverse contrast reactions or learning interventional procedures. Although these types of simulation tools still are in their early stages, Cook says more work is being done in this area, and she expects these tools to become more prevalent. As computer tools become a greater part of radiologist training so does the need for a solid understanding of informatics. Cook says informatics can be used to complement resident education, but the residents also can be trained in informatics. The latter option requires additional instruction and commitment from the health system. “Teaching informatics to residents is sometimes the more challenging of those two because you need to have folks who have some expertise and some knowledge to actually provide the informatics training,” Cook says. Although training residents in informatics is the less common path, nurturing residents’ interest in informatics can be beneficial for the health system as well as the resident. With image volumes growing rapidly, informatics tools already are an essential workflow component in large medical centers. Those tools are becoming increasingly valuable in smaller facilities. Because of the continuing need for increased productivity, the need for informatics specialists in radiology is only going to grow. As informatics tools become more ingrained in the radiology workflow, more people who understand their underpinnings will be needed. Cook thinks this trend will nudge more residents toward informatics training. — David Yeager is a freelance writer and editor based in Royersford, Pennsylvania. He writes primarily about IT in imaging for Radiology Today.